Minnesota Vikings Football Blog with post game reviews and pre game predictions. Get your Minnesota Vikings news in one neat space, one time a week, because we are all busy people. 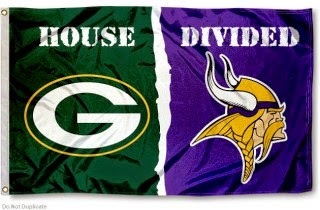 It’s that time of year again, when the Vikings take on some cheese heads. The Vikings travel to Lambeau Field this Thursday to square off against the Green Bay Packers. A new chapter for one of the greatest rivalries in sports is written in three days, and as much as I would have liked to have been, I unfortunately will be unable to attend the game in the person. 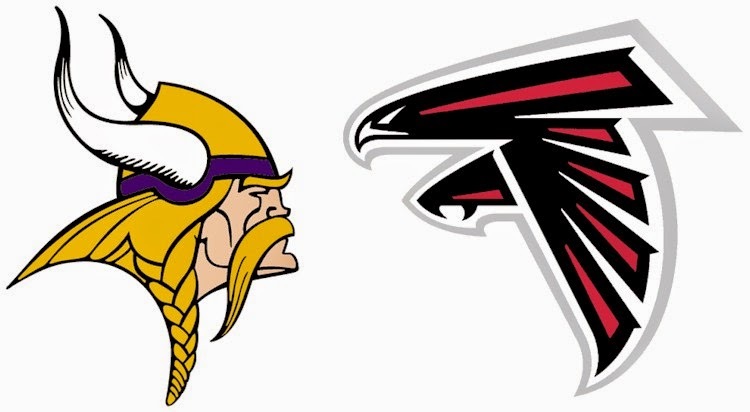 The Vikings return home this Sunday as they take on the feisty Atlanta Falcons in a game that is sure to be memorable. The Falcons’ offense is lead by QB Matt Ryan and his two standout wideouts, Julio Jones and Roddy White. The Vikings defense will have to be on its ‘A’ game if it wants to contain the Falcons’ soaring O. For those who are curious about the Vikings as they head back to TCF Bank Stadium, I have it on good word that tickets are selling fast, and that even in some places, they are sold out. That said, a little birdy (and no, not the Falcon kind) told me that tickets can sill be found here. Skol Vikings! If you have yet to see this video about Adrian Peterson by Joseph Vincent, then you’re in for a real treat. It is one of the best highlight mixes I have seen on the net. Do yourself a favor - watch. And while you’re at it, show any and all Vikings fans a video piece that is sure to make their day. The first regular season home game at TCF Bank Stadium is FINALLY here. While the word around town is that the game is an expected sell out, I was able to secure tickets through the fine folks at Ticket King. So if you’re looking for tix to the game, you can find them here. The Vikings are playing the Patriots, so this is sure to be a tough matchup, especially if Tom Brady is on his ‘A’ game. But I’m confident our Vikes will put up a fight… and possibly a win. Skol Vikings! It’s almost here. It’s FINALLY almost here. In four more days the Vikings kick their regular season off on Sunday September 7th against the St. Louis Rams. Like all Vikings fans, I will be glued to my TV this Sunday, looking to see how new head coach Mike Zimmer has prepared the boys for what will hopefully result in a win. 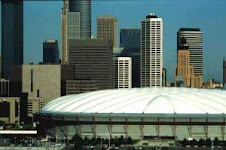 How do you like the New Vikings Stadium for 2016? For Minnesota Vikings Game reviews and a look ahead to upcoming challenges! Plus get all of the latest gossip on all things Minnesota Vikings! I love the Minnesota Vikings! Read my posts for sassy Vikings football commentary and game reviews! Get the Vikings Now widget and many other great free widgets at Widgetbox!